Montreal, Quebec, January 17, 2019 – The hydrogen movement in Quebec is gaining momentum. 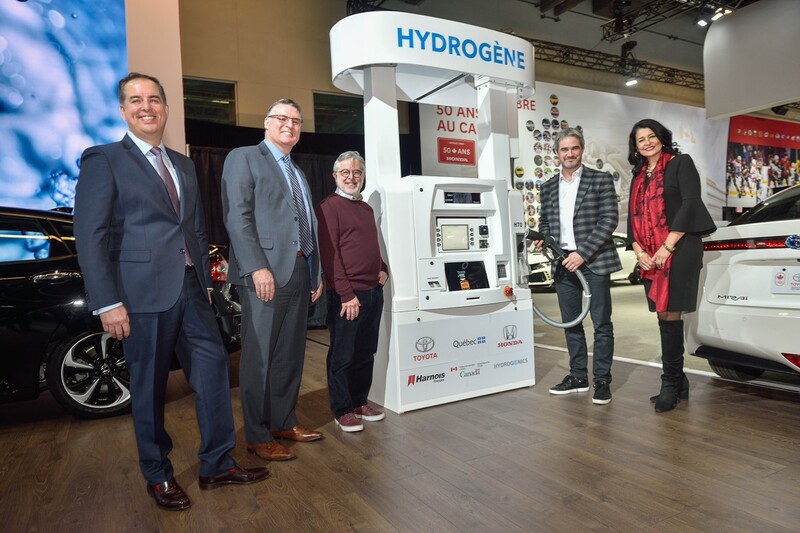 Toyota Canada Inc. (TCI) joined with Honda Canada Inc. and other hydrogen partners at the 2019 Montreal International Auto Show to provide an update on the overall progress of hydrogen fueling infrastructure for fuel cell electric vehicles (“FCEVs”) in Quebec. The new station will start fueling vehicles in February and there are already plans to build another station in Montreal. To learn more about the recent developments on this subject, please view the video here. Toyota Canada Inc. (TCI) is the exclusive Canadian distributor of Toyota and Lexus vehicles. Toyota has sold over 5 million vehicles in Canada through a national network of 287 Toyota and Lexus dealerships. Toyota is dedicated to bringing safety, quality, dependability and reliability in the vehicles Canadians drive and the service they receive. TCI’s head office is located in Toronto, with regional offices in Montreal, Vancouver, Calgary, and Halifax, and parts distribution centres in Toronto and Vancouver. Toyota manufactures vehicles at two sites in Canada. Having produced more than seven million vehicles, popular Canadian models built at these facilities include Toyota RAV4, Toyota Corolla, Lexus RX 350 and RX 450h hybrid. From left to right: Martin Gilbert (Director, Corporate Strategy and Innovation, Toyota Canada Inc.), Jean Marc Leclerc (Senior Vice President, Sales and Marketing, Honda Canada Inc.), Luc Harnois (Executive Vice President, Harnois Énergies), Michel Archambault (Director of Business Development, Hydrogenics), Paula Vieira (Director, Transportation and Alternative Fuels Division, National Resources Canada).